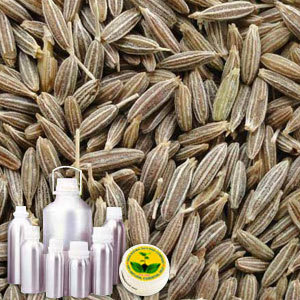 Cumin Therapeutic Grade oil is extracted from Cumin cyminum of the Apiaceous family and is also known as cumin and Roman caraway. The oil is used for a variety of commercial purpose. A middle note with a medium strength of aroma, it has a characteristic warm, spicy and musky scent. This oil is used in a variety of food products. It is also majorly used in the preparation of mouth washes, gargle preparations, toothpaste flavors, chewing gum and in pharmaceuticals. It is recommended due to its various therapeutic properties which include - Anti-catarrhal, anti-inflammatory, antimicrobial, antiphlogistic, antiseptic, astringent, balsamic, carminative, cicatrisant, emmenagogue.